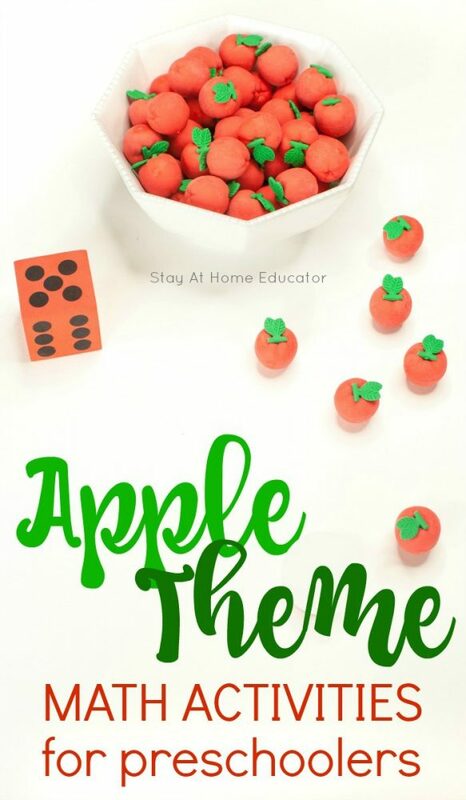 Is an apple theme part of your fall preschool lesson plans? Mine too! 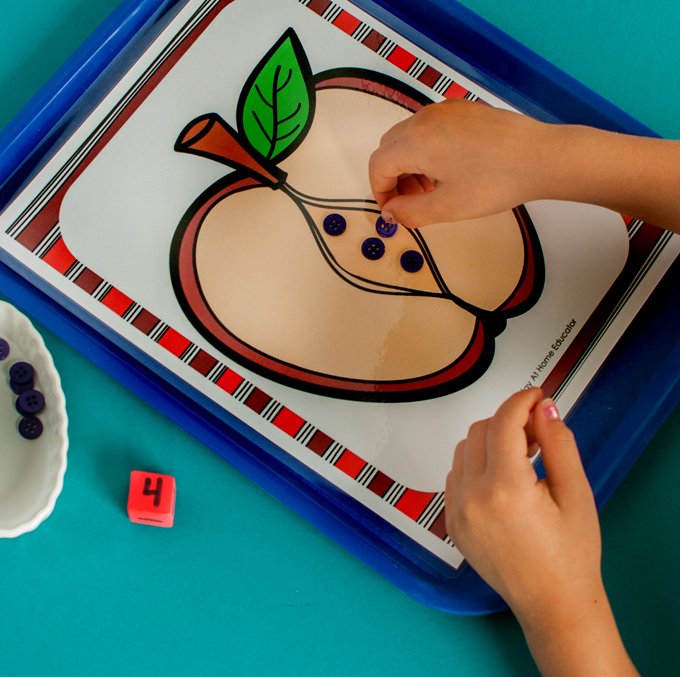 This year we are trying out six new apple theme math activities for preschoolers and kinder students, too! 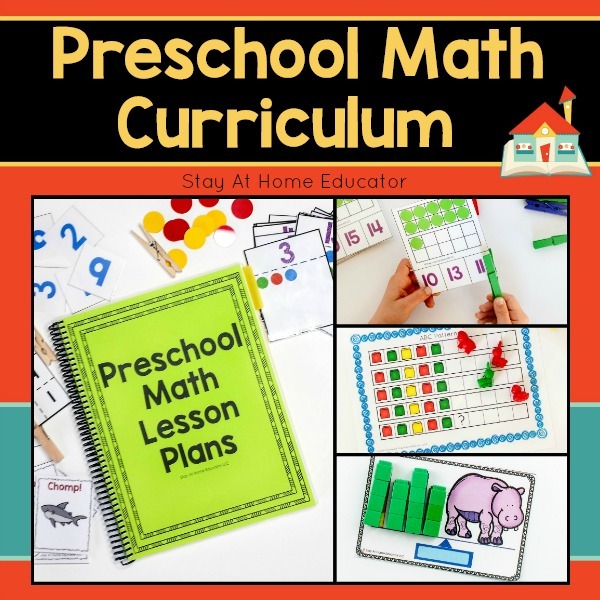 These apple math activities make great preschool centers and even busy bags! Do you ever need some quiet time? Maybe sometimes a little more than your preschooler? I feel that way every afternoon! (Well, most afternoons). I love teaching preschool from my home. I having a job where I can be at home with my little boys, but by the baby’s naptime, I am sooo ready for some quiet time for myself. And since the little boys (unfortunately) don’t nap anymore, quiet time is just the right way for us to enjoy some peace and calm after saying goodbye to our preschool friends. But quiet time only works if your little one has something newish and fun to do. 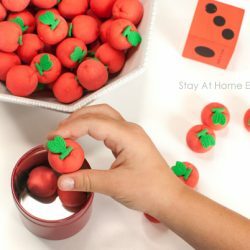 These six apple theme math activities turn quiet time into something extra special and definitely educational. 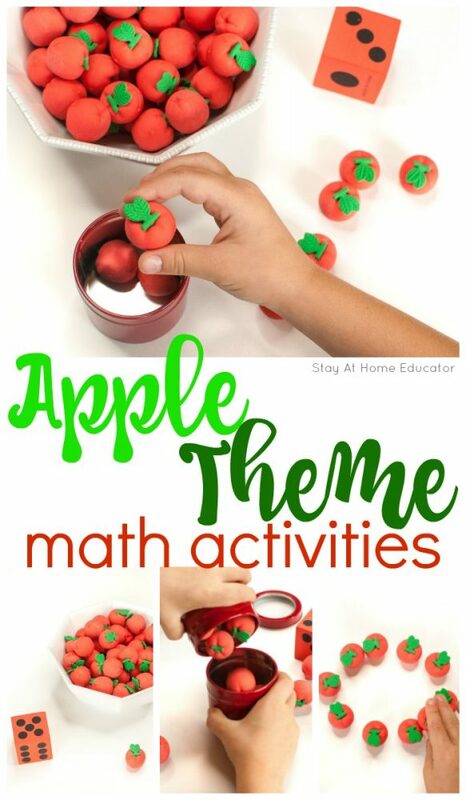 But any of these apple activities work well in an apple theme preschool math center or as small group activities during your fall theme. The only thing better than apple theme math activities for preschoolers is having six new apple theme math activities! If you are using these for quiet time, that means quiet time will last six times as long, right? 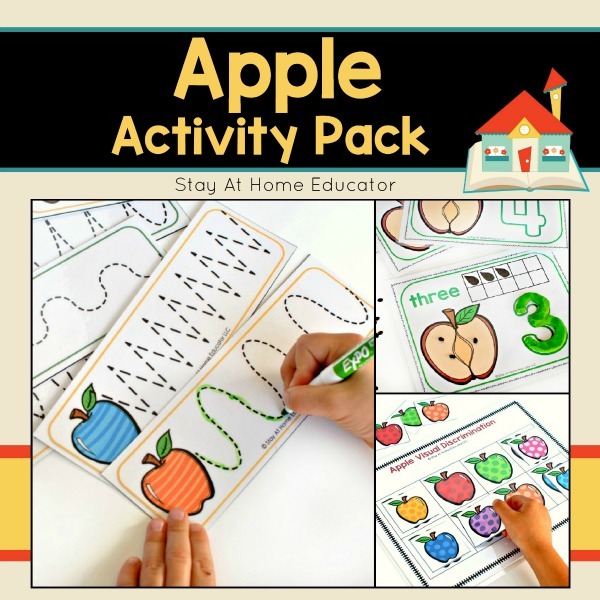 But I’m confident your preschoolers will love these apple activities! 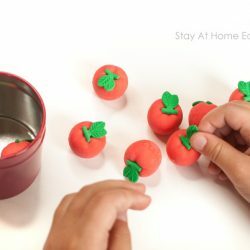 This apple activity is simple. Roll the die, identify the number, and count. My preschoolers like to count the apples into a container, like picking real apples into an apple basket. We used some small magnetic spice containers. 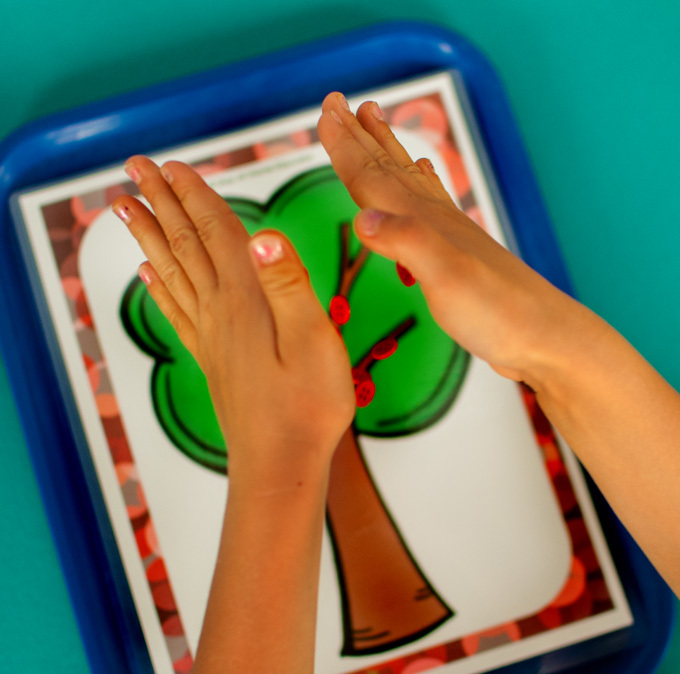 This simple activity makes preschoolers feel like such big kids! 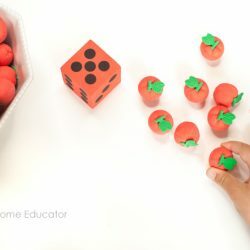 Roll the die, identify the number, and count out the corresponding number of apples. Do not return the apples to the main bowl. Then, roll again. Ask your preschooler to identify the number on the die and whether or not it is bigger or smaller than the last apple. Then ask, “What do you need to do to make ___?” Your preschooler then has to either add some apples or take some away. Basic addition and subtraction and a beginning step in teaching it. How many apples can your preschooler pick up with one hand? Estimate it! Then place the apples in the tin. Does it fill it all the way? Estimate how many more handfuls it will take. Instead of grabbing handfuls of apples, invite your preschooler to set aside how many apples they think will fill the tin. Have them count as they put their group of apples in the tin. Then, check their estimation and discuss. This activity came about naturally. 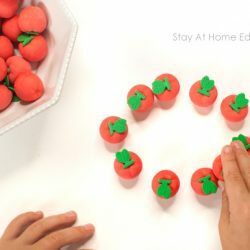 Before doing any activity with new materials, such as these cute apple counters, I always allow time for my preschoolers to just play with them and explore. Making shapes was the result of such play, and soon all my preschoolers were trying to make new shapes. 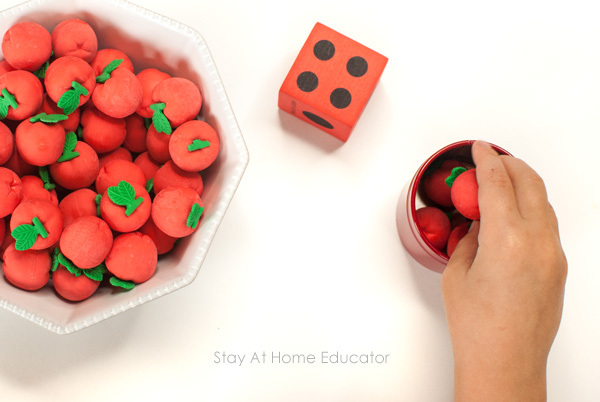 You can expand on this activity by drawing lines on paper or taping shapes to the table. One math skill that seems obvious is being able to count a set of objects from a set. In this apple math activity, we filled the tin first and poured it out. Then, we rolled the dice and put the apples back in until it was full. I love thematic counters for activities like this one. 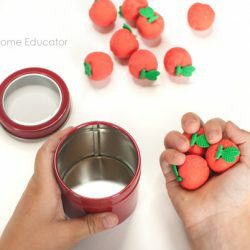 Who knew a simple set of apple counters could be used for so many fun apple theme math activities?! What else can you think of to do with these counters? 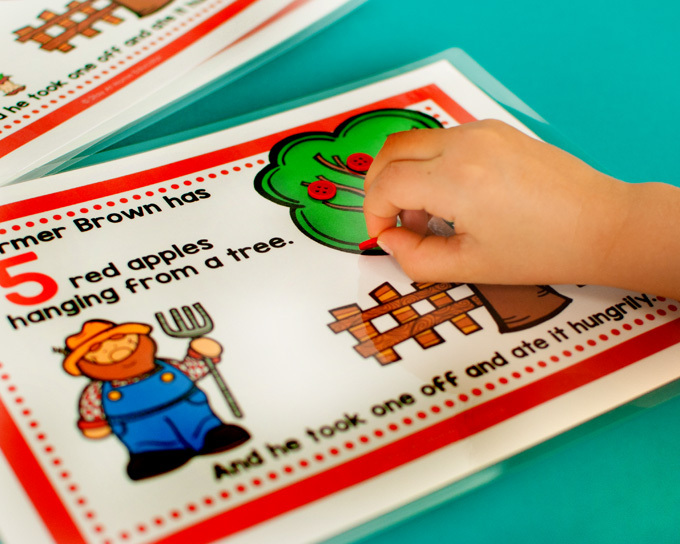 Need Some Apple Theme Printables for Preschoolers? These might interest you! Plus, they are all FREE apple theme printables! Click on the image to grab your free copy! 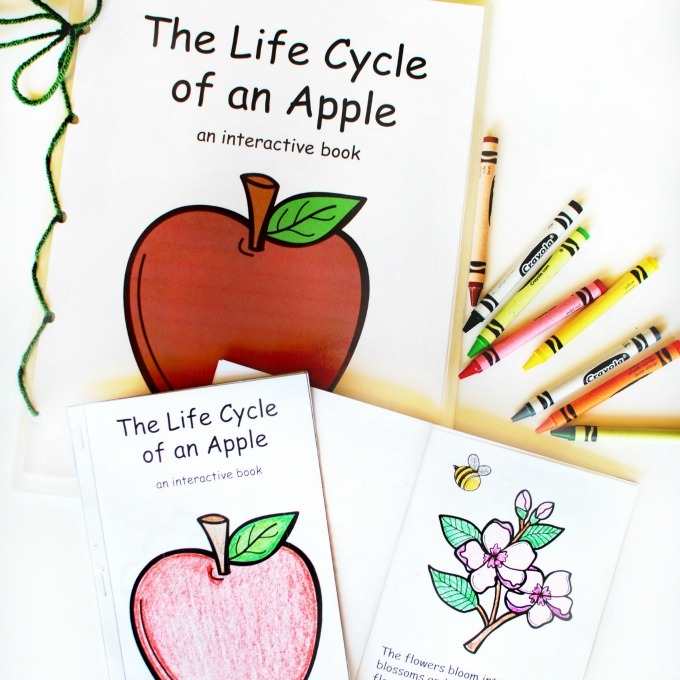 Looking for More Apple Themed Activities for Preschoolers? 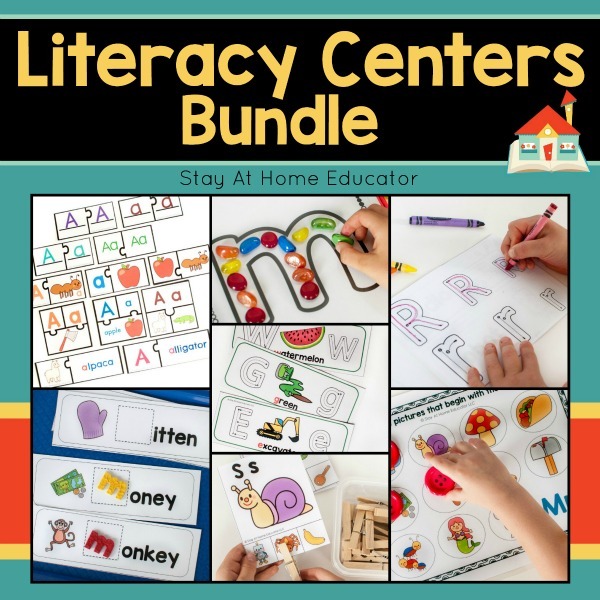 This apple theme printable activity pack is perfect for your preschool literacy and math centers! 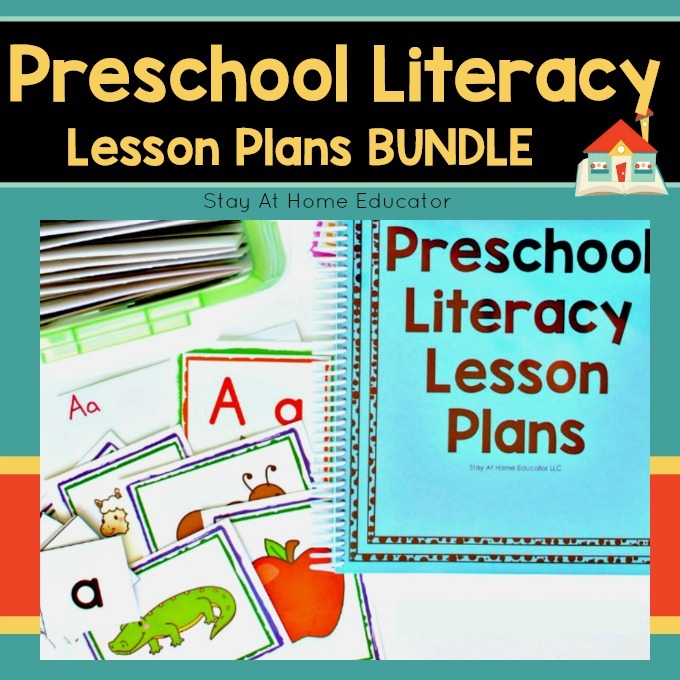 Want to Learn About Preschool Lesson Planning? 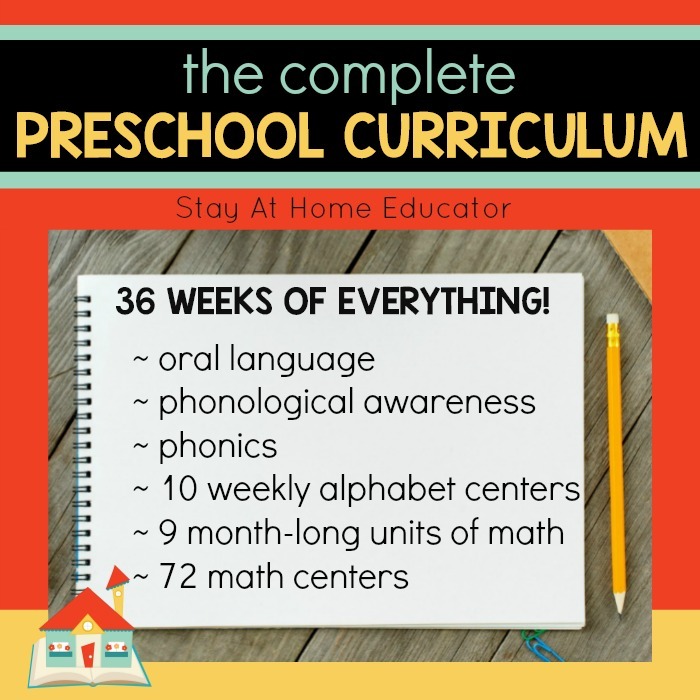 Check out these donee-for-you preschool lesson plans.